As you may have seen, Kevin Levin has responded to my previous post and I thank him for taking the time to clarify a few things. As I made abundantly clear, I also found the video lacking and based my objections on the tone of the post and its commenters. Predictably, some of those commenters chimed in with some unfortunate remarks that make me question if they even bothered to read my original post or if they just responded to Levin’s summation. Unfortunately, I cannot answer this question because I implied no such thing in the first place. If this person was referring specifically to me, I defy them to find one scintilla of this victim mentality in any of my published work. Conversely, an anonymous commenter here at Freedom by the Sword said that they “tried to respond the one of Harrigan’s comments at Levin’s blog, but was censored.” If true, this is troubling. In sum, my objections from the start were purely in regards to the hostile tone and some of the alarming insularity on display in Levin's original post. Any speculation beyond that misses the point entirely. In our increasingly polarized society there seems to have been a shift from a “live and let live” mentality to a vigorous prosecution of “thought crime” – no longer can we agree to disagree, but anyone who strays from what is considered the cultural mainstream is called out and proverbially tarred and feathered for not keeping in lockstep with the rest of us. This creeps into the Civil War history community from time to time, usually in fairly innocuous ways. While I’m used to the usual back and forth about the merits of the newest ACW titles or the constant drumroll of snarky comments related to the latest gaffes of the “heritage” movement, I was more than a little troubled by the tone of a recent post over at Civil War Memory that features members of the history department of Liberty University. 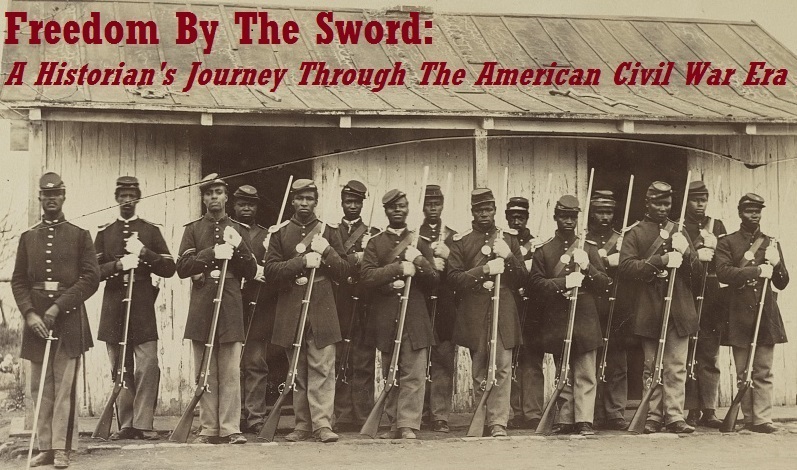 The video explores the “enduring legacies” of the American Civil War and was put on Vimeo by an L.U. film student who apparently asked different members of the faculty to describe what they imagine to be the war’s major legacies. Levin states that the video is “just all around really bad,” and if he is referring to the overall watchability and quality of the film, I’m with him (but keep in mind this is the result of an undergrad film project, for crying out loud). But the vitriol aimed by Levin and the dozens of folks who took the time to leave their own acerbic musings is aimed at what the professors interviewed in the film said about how the war still affects the country to this day. It would be one thing if these professors were wearing Dixie Outfitters shirts and talking about how tariffs were the real cause of the war and that slavery had nothing to do with it. But the views espoused by the faculty were not terribly out of the mainstream. Certainly not ideal or complete, but we aren’t even privy to everything these people said to the film student during the interviews. For this reason I’m willing to give them the benefit of the doubt, but not so with Levin and his cohorts. For instance, Prof. Robert Ritchie is scorned for reducing “the war down to sectional differences.” Not exactly League of the South type stuff here. Or consider Prof. Chris Jones, who said that slavery was the main cause of the war but goes on to say that modern Americans are being “enslaved” by the Federal government. He also cites a recent Reuters/Ipsos poll that states that the idea of secession is still popular in today’s modern political climate. That might not be your particular outlook on life, but it’s not a harebrained conspiracy theory. Rather than attack what these professors actually said about the war, the commenters (not Levin himself) launch into a diatribe about the credibility of Liberty University itself. James Harrigan, who teaches at UVA, says Liberty is “not an actual university” while commenters on the blog and the blog’s Facebook page chime in with comments calling L.U. a “fake school” and suggesting that the professors quoted got their PhDs from the University of Phoenix. See the original post for more of this lowbrow fare. I can personally attest that these representations are not accurate because I actually spent two years at Liberty University from 1998 – 2000 and during that time I took two Civil War courses. One was a survey course which had as its main text McPherson’s Ordeal by Fire and also included Thomas’s Confederacy as a Revolutionary Experience. Nothing by Clyde Wilson, sad to say. The other course was a Civil War literature class taught by Kenneth Rowlette (who also runs the university’s well-regarded National Civil War Chaplains Museum) with readings that included Ambrose Bierce and Stephen Crane and more recent books such as Cold Mountain and Jacob's Ladder. Can you just smell the vast Christian Right conspiracy? Somebody call the mayor of Houston! The point is that in no time during my two years at L.U. did I encounter the crude caricatures envisaged in these comments. It is unfortunate that Christians are increasingly lampooned as science-hating mindless sycophants who have no place in a discussion about history. I’m not implying that that is what Levin was going for, but the feeding frenzy that ensued shows that he certainly left the door open for what passes as civil discourse nowadays. I can think of several Christians, such as Steven E. Woodworth (who also happens to be part of Liberty University’s distinguished adjunct faculty) and Robert Tracy McKenzie, professor and chair of the Department of History at Wheaton College, who maintains the excellent Faith & History blog, who have made stellar contributions to Civil War history. It is especially difficult for this dialogue to take place when you’re pre-judged by your religious views. 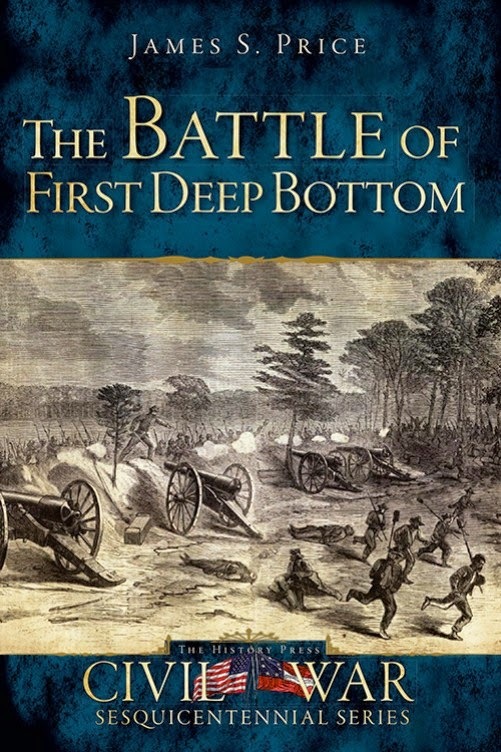 The Battle of First Deep Bottom: In Stores Today! I am happy to announce that my second book, The Battle of First Deep Bottom has hit shelves nationwide today! This work is a much different animal from my first book on New Market Heights, in that it chronicles events on the north side of the James River from late June of 1864 thought the end of July. 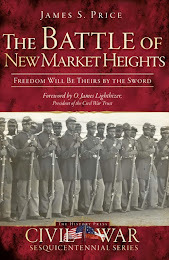 I was fortunate enough to team up with Steve Stanley again for the maps and Hampton Newsome penned an excellent forward. 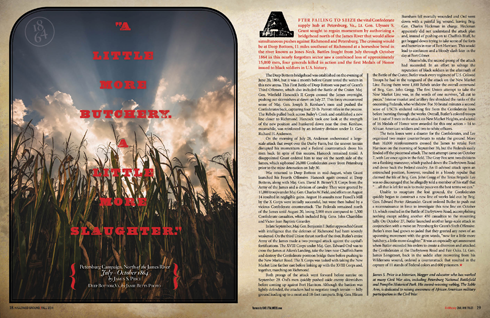 And if you’re interested in learning more about all of the fighting that took place north of the James in 1864, be sure to check out my article in the latest Hallowed Ground that covers it all!